Andrea Calabrese was born in Campi Salentina in the southeastern tip of Italy. 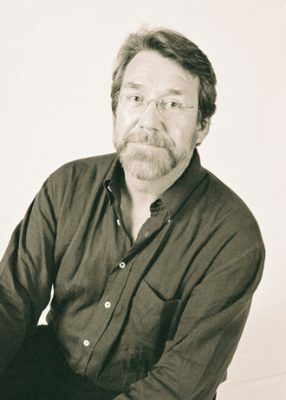 He studied at the University of Padova, at the Scuola Normale Superiore of Pisa and at the Massachusetts Institute of Technology where he obtained his Ph.D. in Linguistics in 1988. From 1989 to 1997 he taught at Harvard University and since 1997 he has been teaching at the University of Connecticut. For the past five years he has also been teaching at the University of Siena, Italy, as a visiting professor. His main interests are phonology, morphology and historical linguistics. He published more than 50 articles in books and journals such as Linguistic Inquiry, The Linguistic Review, Studies in Language, Brain and Language, Journal of Neuro-Linguistics, Rivista di Linguistica. His recent book, Markedness and Economy in a Derivational Model of Phonology, Mouton de Gruyter, 2005, proposes a theory integrating phonological rules and repairs triggered by markedness constraints into a derivational model of phonology. In the past few years, he has also been working on a book in which he investigates the historical phonology and morphology of the Indo-European languages in the light of recent developments in linguistic theory. “Sievers’ Law in Gothic: a Synchronic Analysis and Some Speculations on its Historical Development” in The Linguistic Review 11, 1994, 149-194. “A Constraint-based Theory of Phonological Markedness and Simplification Procedures” Linguistic Inquiry 2.26, 1995, 373-463. “Some Remarks on the Latin Case system and its development in Romance” in J. Lema and E. Trevino, eds., Theoretical Advances on Romance Languages, Amsterdam: John Benjamins, 1998, 71-126. “Sievers’ Law in Vedic” in H. van der Hulst and N. A. Ritter, eds., The Syllable: View and Facts, Berlin: Mouton de Gruyter, 1999, 673-751. “On the evolution of the short high vowel of Latin into Romance” in A. Perez-Leroux & Y. Roberge (eds.) Romance Linguistics. Theory and Acquisition. Amsterdam: John Benjamins, 2003 , pp. 63-94. Markedness and Economy in a Derivational Model of Phonology. De Gruyter-Mouton,. 2005. Andrea Calabrese and Morris Halle “Grimm’s and Verner’s Law: A new perspective” in C. Melchert, J. Jasanof and L. Oliver (eds.) Mir Curad. A Festschrift in honor of Calvert Watkins. 1998, pp. 47-62. Cristina Romani and Andrea Calabrese “Syllabic Constraints in the Phonological Errors of an Aphasic patient” in Brain and language 64, 1998, 83-121. Andrea Calabrese and Samuel Jay Keyser “On the peripatetic behavior of aspiration in Sanskrit roots”, (Eric Bakovic, Junko Ito, John McCarthy, eds., Wondering at the natural Fecundity of Things: Essays in Honor of Alan Prince. BookSurge, 71-94. “On Absolute and Contextual Syncretism. Remarks on the Structure of Paradigms and on how to derive it “Andrew Nevins & Asef Bachrach (eds.) The bases of Inflectional Identity, Oxford University Press, 2008, 156-205.